where is the adsorption equilibrium constant for component (1/bar), is the partial pressure (bar), and is the saturation coverage of to . 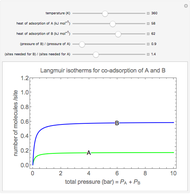 where is a pre-exponential factor (1/bar), is the heat of adsorption (kJ/mol), is the ideal gas constant (kJ/[mol K]), and is temperature (K). 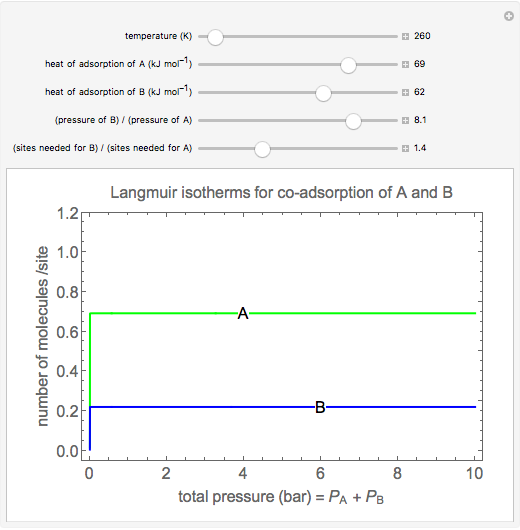 where is the total pressure (bar), and is the ratio of partial pressures. The screencast video at  shows how to use this Demonstration. 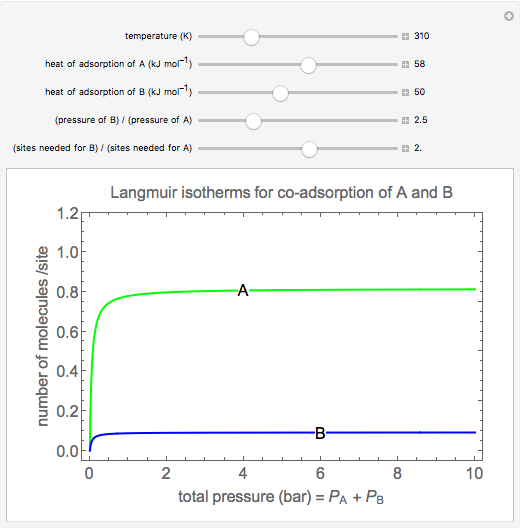 Langmuir Isotherms for a Binary Mixture. 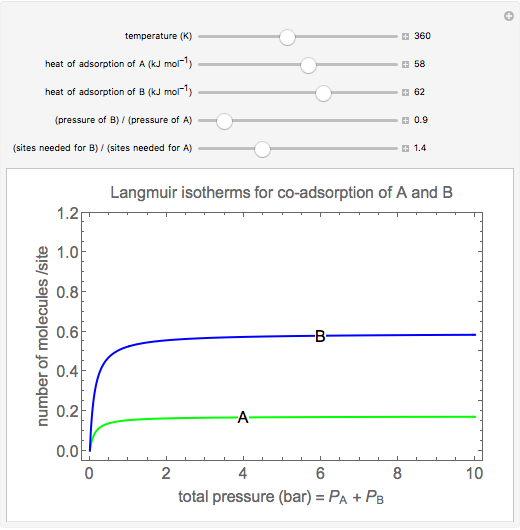 www.colorado.edu/learncheme/kinetics/LanmuirIsothermsBinaryMixture.html. 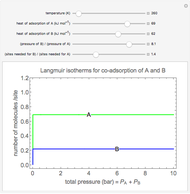 Rachael L. Baumann "Langmuir Isotherms for a Binary Mixture"